The UK arts and craft industry is booming, and the latest channel to take advantage of the craze is preparing to launch on Monday 14th September. The Craft Channel, featuring ex-QVC presenter Debbie Greenwood will be available on Sky, Freesat and connected Freeview at launch. 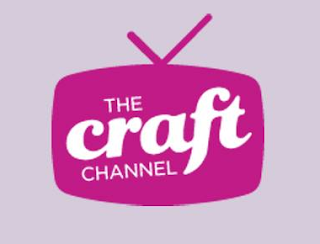 Viewers with compatible connected Freeview devices will be able to tune into The Craft Channel via Showcase TV, a so-called streamed channel on Freeview 254 from 6am to 1pm. On Sky, viewers can access The Craft Channel either via Showcase TV on channel 261 between 6am and 1pm or via channel 660 from 7am - 2pm and 6pm - 1am. Freesat, which uses the same satellite feed as Sky, follows the same pattern, with the channel available on channel 402 in the morning, or channel 815 from 7am-2pm and 6pm - 1am. The channel will broadcast from the former home of shopping channel Price Drop TV in Acton Park, West London.